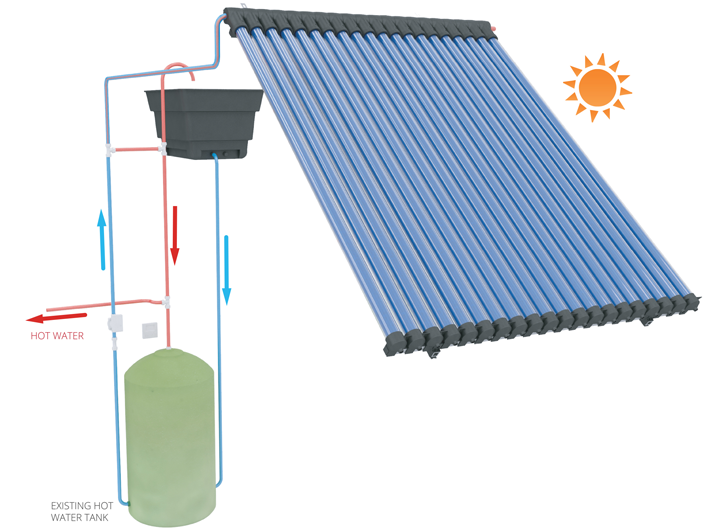 Soltropy’s Solar Thermal Technology is an exciting innovation in the field of Solar Thermal Water Heating, easily capturing the sun’s energy to support your water heating needs. Uniquely the system is ice immune, uses flexible modules and integrates with standard heating systems and components. 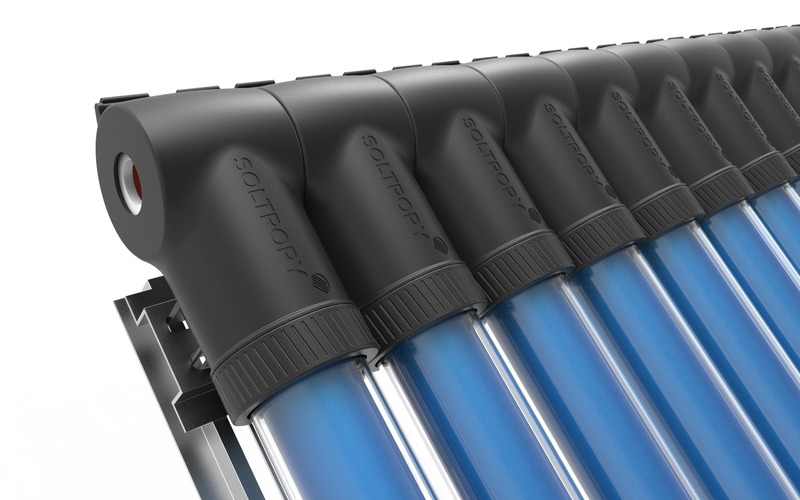 Soltropy Technology uses a patent pending Solar Shell to mount individual evacuated tubes to a standard copper pipe, without the need to break into the pipe. This modular approach gives the system greater flexibility to scale to individual requirements, and makes installation easier and less disruptive. 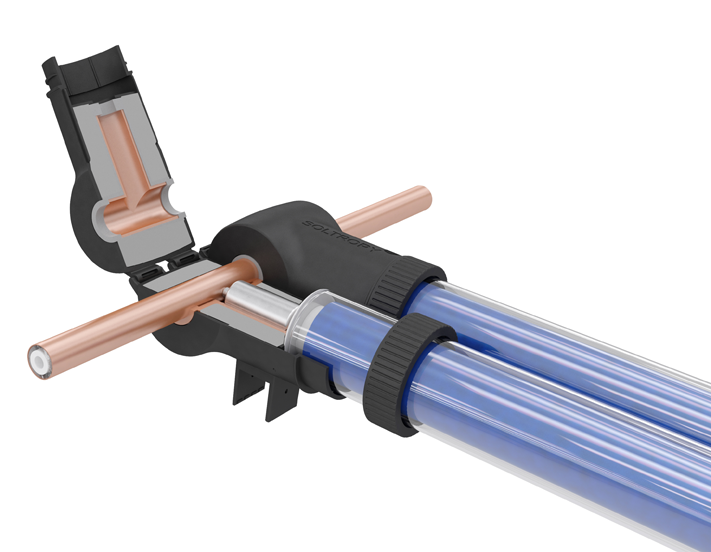 Immune to freezing conditions, Soltropy’s patented Ice Immune technology allows the system to withstand being frozen, without the risk of leaks. Its design is not burdened by legacy solar thermal systems and designs, which rely on incorporating anti freeze or drainback protection. This innovation also allows for single pipe entry onto the roof, reducing disruption during installation, and allows for easier integration with existing heating systems. All these innovations combine to make the Soltropy Solar Thermal system the most efficient and affordable option on the market. Soltropy’s system is demonstrated in the video shown below. If you have any questions or would like to know more please contact us.